INTERNATIONAL ESCAPING FROM HOUDINI PRE-ORDER CONTEST! it’s been hard keeping this a secret, but i’m excited to announce the International pre-order contest i’ve been working on! • 3 Grand Prize winners will win a Moonlight Carnival inspired mask, plus a full set of eight custom character cards designed by Phantom Rin. • 2 runners up will receive magnetic bookmarks of Thomas and Audrey Rose, plus a full set of eight custom character cards designed by Phantom Rin. • Screenshot (or take a picture) of your EFH receipt and attach it to your email entry along with your full name and mailing address. • You must be 18 or older or have permission from your parents to enter. No exceptions. This preorder giveaway is open internationally and anyone from anywhere may enter. please note: this isn’t hosted by my US publisher, so US readers can enter both preorder giveaways. Add ESCAPING FROM HOUDINI to your goodreads shelves here! 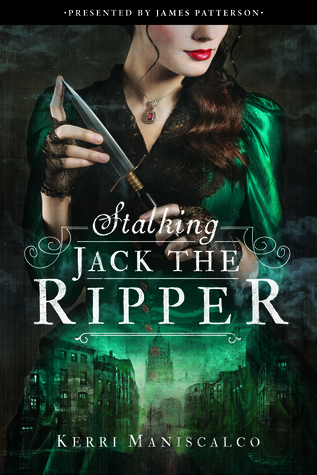 Posted on July 24, 2018 July 23, 2018 by Kerri Maniscalco	This entry was posted in Contest, ESCAPING FROM HOUDINI, For Readers, Giveaway, Happy Things, STALKING JACK THE RIPPER, Ya, ya books, Young Adult Novels and tagged Audrey Rose Wadsworth, ESCAPING FROM HOUDINI, Kerri Maniscalco, preorder prizes, stalking jack the ripper series, Thomas Cresswell. Bookmark the permalink. ← the US ESCAPING FROM HOUDINI preorder prize is finally here! If I preorder from Indigo Chapters is it still allowed or only the links and sites you have provided?